These are ruddy awesome! Six poses in two packs and bumper saver warband options too. 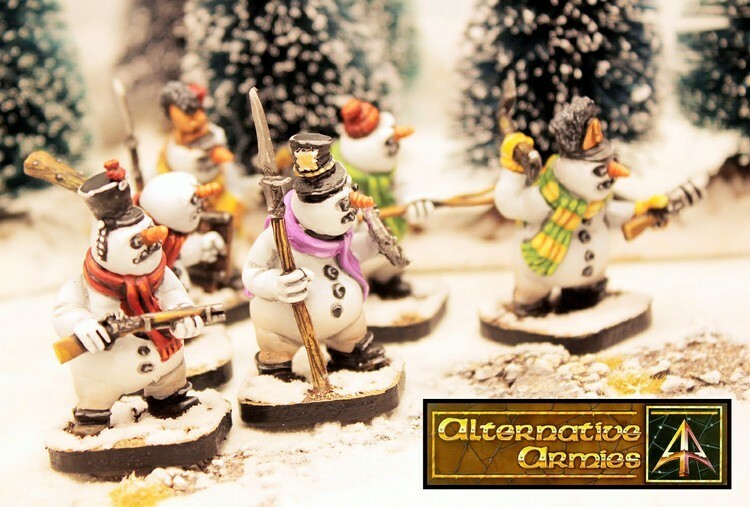 Our brand new 28mm Snowmen for Fantasy and Black Powder. Click through to read more. We also have a full 15mm festive range. We think it will take another week or so to catch up on orders from the Black Friday Event and we thank you again for your custom. If you order up Snowmen in the next week we will send them out straight away in time for Christmas (we have a lot stocked up). This entry was posted on Monday, December 3rd, 2018 at 16:26 and is filed under News. You can follow any responses to this entry through the RSS 2.0 feed. You can skip to the end and leave a response. Pinging is currently not allowed.